Awww! That's going to be one beautiful baby. 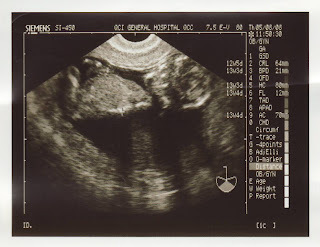 I love ultrasound photos. During my pregnancies, they really helped me connect the fact that I was growing with that of there being a baby inside of me.